Young Oliver and his faithful British bull terrier Spike are on soon to head off on an adventure of a different kind. Having been separated from his parents as a child, Oliver sets out to uncover both his past, future and his own destiny as you travel across different dimensions. 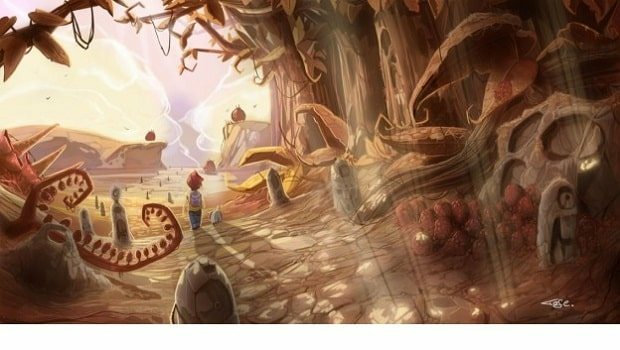 Norwegian indie studio Rock Pocket Games are the masterminds behind such project, having confirmed plans to release the game on Wii U, as well as Xbox 360 and PlayStation 3. They describe the game as being “Ratchet & Clank meets Zelda meets Uncharted, wrapped in a mix between adventure and platformer with a twist. The twist is the Dimension Jumping.” Each world has a minimum of three parallel dimensions to explore, each with its own storyline, quests, and NPCs. Certain areas of the game will be playable co-operatively, with the team adamant that they won’t force repetitive puzzle gameplay on players. This most certainly looks like a promising title, and if you’d like to see screenshots of the game’s progress please visit the official website.